Spring is coming, or so I am told. Under piles of mud caused by piles of snow there are spring break plans that do not include sweats and parkas. Magazines have started to hawk scrubs and self tanners and workouts are being touted with bikini- ready. But many of us have been trapped in our homes chowing down on what ever is left in the freezer or will keep our children from squawking (after having spent nearly 2 weeks with my whole herd I was almost to the point of chicken nuggets and french fries or spagettios every meal) which equals miniature paychecks. So what can one do on a budget to get in a spring mood? 1. 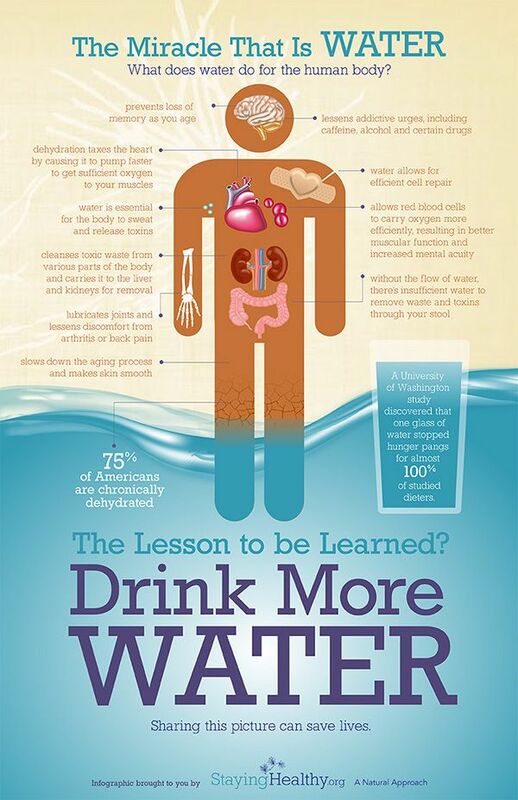 Drink water. Yup the exact same thing that you bathe in. Skin that is hydrated is less prone to wrinkling, acne, and dullness. There are studies proving that plain old water is pretty awesome. Our body is made up of over half water, or coffee as the saying goes. 2. Clean the house. I am talking about a deep, use a toothpick to get gunk out of crevices and run the neighbors away cleaning. Do the baseboards, pull out the dryer, tackle the closet, scrub the fridge insides type cleaning. I have found that blue dawn (up&up or great value work- but some off generics do not), hydrogen peroxide, white vinegar, and baking soda in some combination can clean almost anything a pair of 10 year olds, a 4 year old, two huskies, and a husband can get dirty. For under ten bucks and with minimal risk of poisoning to small children or animals one can scrub walls, floors, pre-treat laundry, get soap rings out of the tub, defunk the weirdest goo in the crisper drawer, and return oven glass to a transparent state. All that bending, lifting, and furniture moving will do a few things 1. burn calories 2. keep spring wardrobe spending at bay 3. get your house clean 4. keep little hands too busy to whine about hair pulling and toy borrowing. 3. Pinterest, as unproductive as it sounds there are hundreds of at home workouts FREE on Pinterest. (Also recipes for cleaners- use keywords dawn and vinegar.) Ideas and motivation is plentiful here, between the video links and success stories of others there is bound to be something that will give you a fresh perspective. There are also tons of great websites that offer recipes, workouts, and other tips. I personally like skinnymom.com, bodyrocktv.com, greatest.com, sparkpeople.com and a several others, check the blogroll at the bottom. Just don’t spend too much time on the internet- because that won’t do much for your waistline. 4. Have a girls night-in. Invite your friends over and pool your resources. That horrific smelling hand scrub from Christmas and a bottle of wine paired with a cool melt wax kit and new nail polish from your bestie is not just a throw back to high school sleepovers, but a way to pool resources! Unwinding with a close friend or three, is a huge stress reliever as well as a fun way to reconnect. One of my favorite things is to let my best friend pick out 5 outfits from my closet- while we may have a lot in common she will usually pair tops with bottoms others than how I normally do so its like getting 5 new outfits. I am pulling out our “off season” bins with shorts and sundresses so this is a perfect time to get “new” spring outfits. Another fun thing that I like to do is hit up Polyvore.com and use a piece I have to search outfits made by other users-especially ones from distant geographic areas to give my style a more worldly flair, sometimes I have comparable pieces that I can sub in sometimes not but that is for another day. Spring is coming, whether our yards and our wallets are ready are not. Get creative and thrifty by utilizing resources that you may have forgotten. Sometimes simple and cheap is more fun than extravagant anyway.